Battle Hymn of the Tiger Mother: Brutally Honest, Shocking and Engaging! Battle Hymn of the Tiger Mother is an extremely famous book and even if you haven’t read it, you have definitely heard the phrase ‘Tiger Mom’ used in parenting discussions and forums. I had been meaning to read the book and finally got the opportunity. 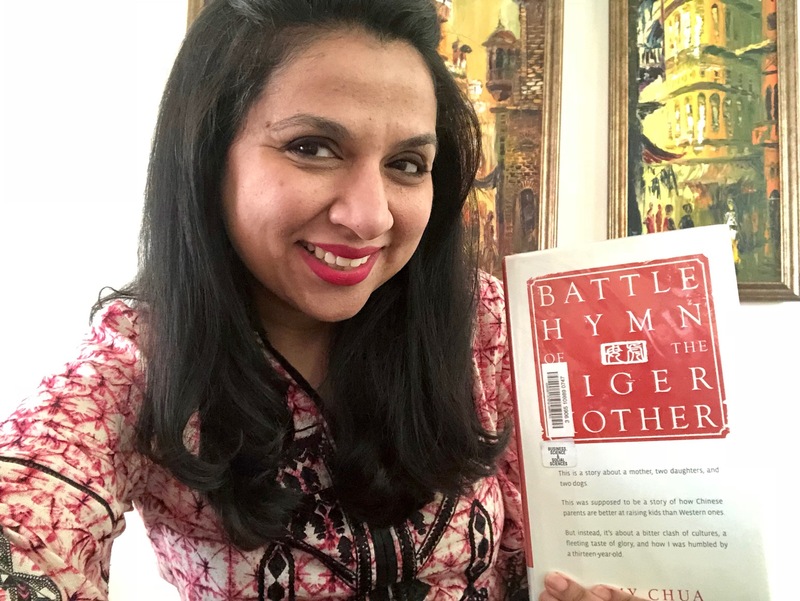 Here’s my review of Amy Chua’s Battle Hymn of the Tiger Mother. The book was first published in 2011 and quickly gained popularity because of Amy’s brutally honest, engaging and conversational writing. Amy compares ‘Chinese’ parenting to ‘Western’ parenting in this book. However, as she explains herself that she uses the term ‘Chinese’ parenting loosely since the same parenting principles and philosophy can be applied in any household and especially in those with immigrant parents. Many South Asian parents will relate with her rules of strict discipline, no sleep overs, high expectations etc. Amy is telling the story of her house and how her parenting worked on one child and not her second. Even though at the start of her book she is quite confident of the benefits of ‘Chinese’ parenting, her second child makes her think otherwise. I admired Amy’s honesty in this book. She is transparent about her flaws, stubborn nature and failures, because they are all driven by her deep love for her children and desire for the very best for them. And this is where this book will appeal to all parents, since we might have different parenting philosophies but we all want the best for our children. This book does not give you parenting tips. Don’t pick this booking expecting to learn the ‘Tiger Mom’ style. This is just the story of a mother trying out parenting as she learnt from her parents and re-learning it with her daughters. Many a times in this book you will be shocked and think: “Did she really say/do that?” You might continue to read the book just because you’re not curious but concerned about the family. I loved this book because it’s an honest and real portrayal of motherhood. It gives you many points to reflect on and discuss. I highly recommend this one to all parents raising their children in a multicultural environment. Have you read the Battle Hymn of the Tiger Mother? What did you think? Yes! I read it a few years ago and absolutely loved it! Her honesty is what struck me the most. Also, at some level I resonated with parts of it, because I tend to have tiger mom parenting tactics. It’s a brilliant read. Thanks for your feedback! Yes, it’s a great read!